So last night didn't turn out quite how I expected ... the Traffic Gods did not deign fit that I should get to Yoga :( So I attempted to do a little exercise on my lounge floor - lucky thing I actually own the Yoga mat so there were no carpet burns! Then I made myself some Woolies calamari - it was divine! I guess it's a bit of a sad thing that I sound so excited by this, but it really was surprising ... I don't expect home made calamari to be anything like the stuff you can get in a restaurant and this wasn't far off :) Perhaps it's just my sheer culinary talents - nah, I know it's not that! 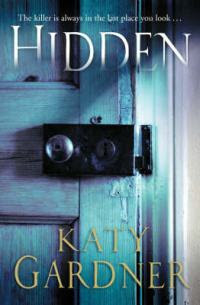 Oh, and this weekend I finished reading Katy Gardner's Hidden. It was a pretty good read ... not a straight line story, I guess. It jumped around telling you how you got to this point once you were already there. The ending had a bit of a twist but nothing I didn't see coming after a certain point. Sometimes there's comfort in knowing when the author removes the character's primary suspect, the real person who dunnit has got to be a character you're already familiar with and not some random new person out of the blue - well, I guess that would be far more of a twist, but a far less enjoyable story.